This is for regular users of Cadsoft Eagle - a software package used for designing PCBs. If you have been using Eagle for as long as I have been using, you most definitely know how to create part libraries, write ULPs and have come up with creative ways to spruce up your PCB's silkscreen (and schematic drawings) with nice artwork - logos, line art, figures etc. But this method imports your art work as a raster of small squares/traces which lacks fidelity - you can note the squares when zoomed in! the raster square. The logo on the bottom is smoother. Usually you would have your company logo in some vector format (PS or CDR or SVG). This vector image of the logo is what you would use in your various branding artifacts and documentation. The reason one wants vector images is that they can be enlarged or shrink without loosing fidelity. It is only reasonable to want your logo imported as a vector into your PCB's silkscreen. The only two ways to have a vector image (in case of Eagle, this means a set of polygons) of your company logo are to either re-create the logo by hand in Eagle or if possible import SVG into Eagle using Cruz Monrreal II's ULP. to create high fidelity logos. 5 Polygons forming a logo. one of the layers used to generate the silkscreen gerber. 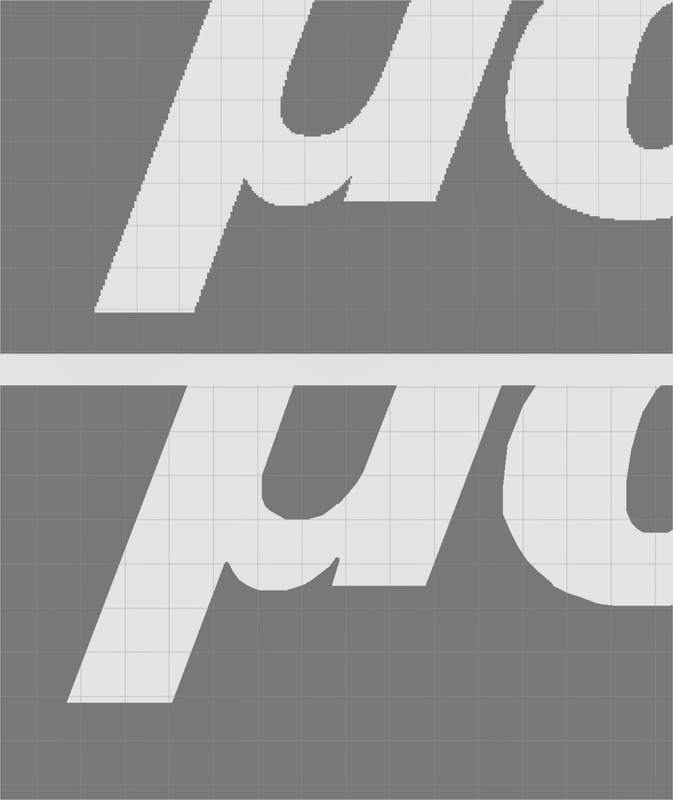 Before Cruz Monrreal II developed his SVG import ULP (I haven't tried it yet), what I used to do is to import the logo as BMP into any layer in the part creation mode of Eagle, redraw polygons in a higher layer over the imported raster squares of the logo and save the polygons as a part. I would then export that script, modify the layer number in it and import it back into the schematic layer there by creating a part for the logo. Export the logo (all polygons resided in only one of the layer) as an Eagle script (.scr). The .scr file is a text file which contains the coordinates of the vertices which form the polygon. These are the XY coordinates of the vertices forming the polygons. The perl script will multiply the abscissa and ordinates of each of the vertices by a fixed number (the pre-set magnification factor) and generate a new .scr file. Of course its not as simple as it sounds but that' the jist of it. There are a few issues that I had to take care of - read the comments in the perl script below. This new .scr file which when imported back into eagle would create and enlarged (or shrunk, depending on the pre-set magnification factor) version of the same logo. Here is the perl script and how I shrunk the Texas Instruments Logo to half its size. Varying sizes of TI Logo. The logo was first created by hand. and generated a new .scr file with magnified version of the logo. The new .scr file was then re-imported back into eagle using "Execute Script"
Here is the perl script. There might still be some bugs lurking around. 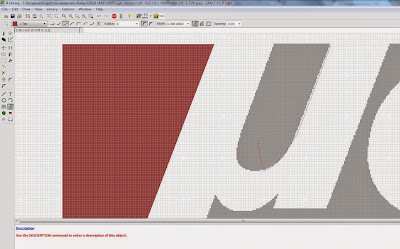 input.scr - Eagle script for creating the Texas Instruments Logo in Eagle in Layer 21 using handcrafted curved polygons. Why do we use 11.0592 MHz with 8051 variants?